American Freedom Distillery’s quartet of bourbons speak to the American bourbon drinker’s palate like no other spirit on the market today. American Freedom’s signature bourbon, Horse Soldier Straight Bourbon Whiskey, is perhaps the best offering of the four, and is currently a feature spirit at Payless Liquors. In the dark days after September 11, 2001, the US Military made the bold decision to send mounted teams of US Army Green Berets into the heart of Afghanistan. These “Horse Soldiers,” as they came to be known, were the tip of the spear and the carriers of the torch in what became the United States military campaign in Afghanistan. Today, these same soldiers that bravely ventured into Afghanistan distill one of America’s finest bourbons. In order to be considered bourbon, a whiskey must be produced in the United States and its composition must be at least 51% corn. Horse Soldier Straight Bourbon whiskey is produced in the American South, of 65% corn, 30% rye, and 5% barley, featuring American soft red winter wheat. American Freedom ages its bourbons for at least two years in charred, new oak barrels. The resulting bourbon is an 87 proof, non-blended – or “straight” – American bourbon whiskey. The essence of Horse Soldier Straight Bourbon Whiskey gives the drinker a preview of the sweet and savory notes to come – the nose includes caramel, cinnamon and dark fruit notes with toasted corn and oak to follow. At first sip, the warm vanilla and mild hints of black pepper give way to the light nutmeg and honey that linger on the palate. Warm oak notes round out the tasting experience. Although Horse Soldier was born to be sipped neat or over ice, this bourbon gives a warm, spicy character to any favorite whiskey drink. The Manhattan – a classic whiskey cocktail that features the sweet notes of the spirit – is elevated with the addition of Horse Soldier Straight Bourbon Whiskey. Sazeracs and Old Fashioneds are similarly boosted by the inclusion of this elegant bourbon. 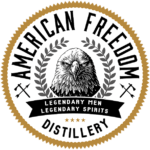 American Freedom Distillery began in 2015 when a group of friends that had served together on various tours of duty with the United States military, fulfilled a lifelong dream of serving America’s people and distilling some of America’s best spirits. Located in St. Petersburg, Florida, American Freedom boasts another flagship spirit honoring America’s finest; Rekker – Norse for “warrior” – Rum, dedicated to warriors everywhere. Payless Liquors features 750 mL bottles of Horse Soldier Straight Bourbon Whiskey, 87 proof/43.5 ABV. Craft whiskeys, bourbons, and ryes are seeing an increased rise in popularity in the U.S. From drinking-age millennials to retired Baby Boomers, the craft drink movement is growing by double digits. Born out of the south – in particular, Kentucky and Tennessee – these style drinks still have the aura of an American outlaw and bootlegger which is perfectly embodied by the craft whiskeys of the Jesse James America’s Outlaw line of whiskeys. Born from the creative brains of Jesse James Dupree, best known for being the frontman of Jackyl and creating the Full Throttle Saloon tv series, the bourbon is made to honor the notorious and legendary American outlaw, Jesse James. The bourbon itself is aged for 3 years in American oak prior to bottling and is said to be made in accordance with what they claim are standards of the 18th century southern states. The Full Throttle Distillery in Trimble, Tennessee, revitalized the sleepy town of fewer than 700 people and has generated jobs and tourism that was key in pulling the town out of financial hardship and back on the map. 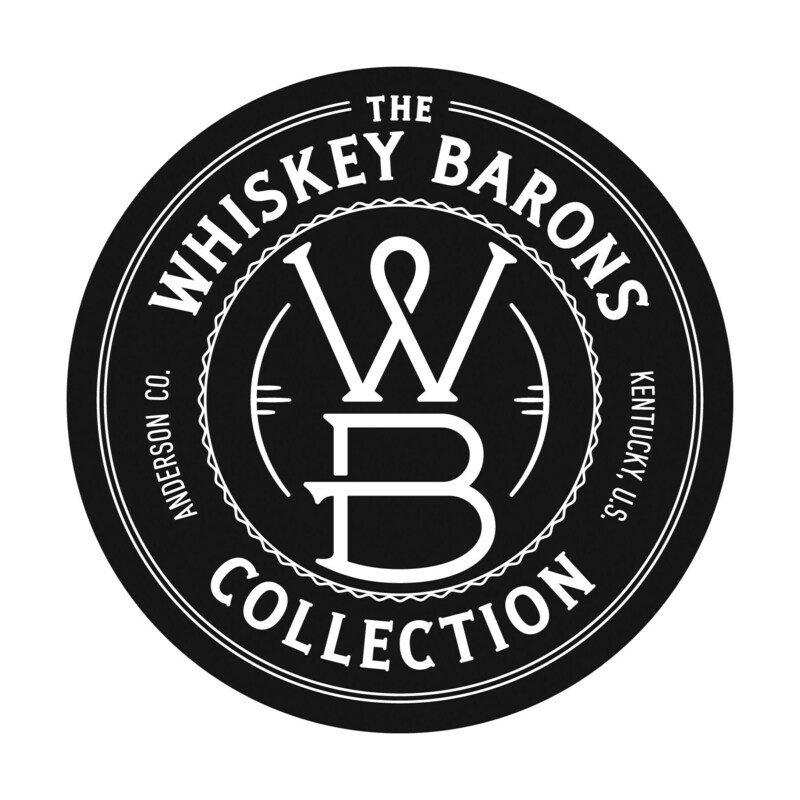 The label itself is commissioned by Jesse James Dupree, who claims that having been “personally responsible for millions of gallons of beer and whiskey” over the years, he created his own label for beer and whiskey. Made in the spirit of America’s true outlaw, this 80-proof bourbon is old-time charcoal mellowed. Aged in oak casks for a minimum of 36 months to develop an incredibly smooth and full-bodied character for the outlaw in you. 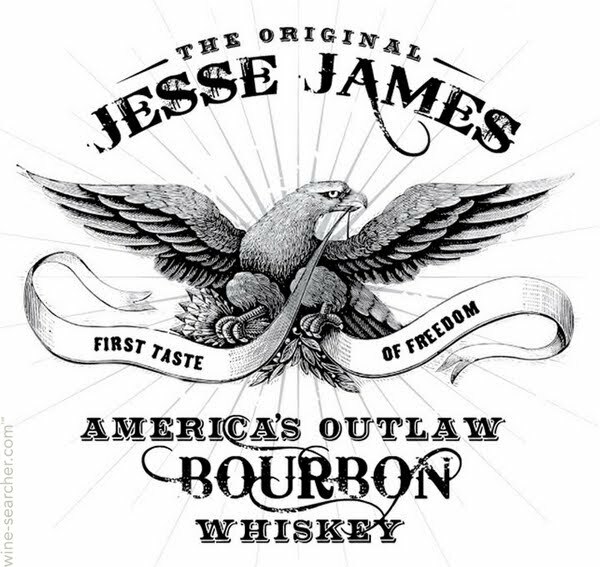 Stop by one of our stores and pick up a 1.75L bottle of Jesse James America’s Outlaw Bourbon for $26.99. We have his whole selection available at all our stores. 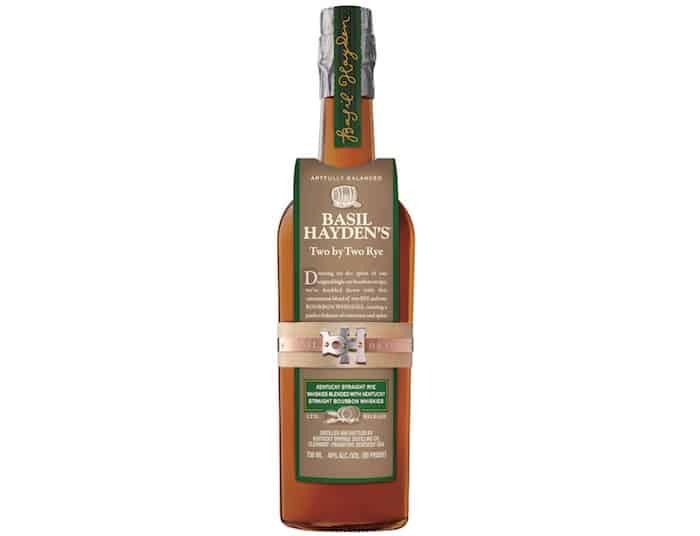 With a unique blend of two Kentucky Straight Rye Whiskies and two Kentucky Straight Bourbon Whiskies, Basil Hayden’s Two by Two Rye offers a keen taste on the best of both worlds for whiskey drinkers – spiciness from the rye complimented by the sweet finish of bourbon. Balanced by 5-year-old Kentucky straight rye, a 7-year-old “high-rye,” and a mixture of a 13-year old and 6-year-old Kentucky straight bourbon, the result is a unique whiskey that stands above the rest in the blended category. It remains approachable by most to taste at a modest 80-proof. This limited run by Basil Hayden’s is complimenting their growth in the super-premium bourbon market. Basil Hayden’s has seen a surge in popularity as of recent. This surge has prompted growth and a popular following – one of the fastest growing brands out of the Beam Suntory. 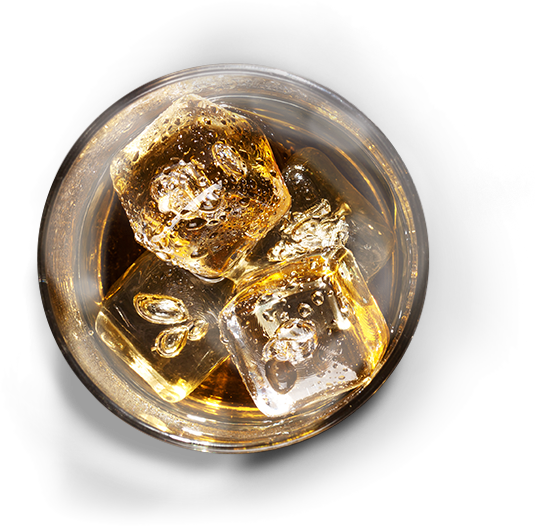 Best enjoyed sipping neat or on the rocks, Basil Hayden’s Two by Two is a bold golden honey color. Aromas of rich caramel and brown sugar are perfectly balanced by a top-shelf feeling from the rye profile. Put together, the Two by Two offers a smooth, medium-bodied experience. This is the second genre-bending whiskey to come out of the Basil Hayden’s distillery this year. Earlier, they released their Dark Rye which mixes Canadian and Kentucky ryes with port wine. Basil Hayden’s will continue to create one-off blends such as their Two-by-Two. To reserve your very own bottle of Basil Hayden’s Two by Two, fill out one of our reservation forms and stop by one of our stores to add more to your collection. I have written reviews for Payless on the Jefferson’s Oceans brand before where I have gone into details of the history around the brand, so it may seem repetitive to do so again. But for those who may not have read or may not know about the brand, I feel it is too important not to talk about where the Jefferson’s brand started from, and what makes it so unique. It is well known that our founding fathers first crossed the ocean’s more than two-hundred years ago to start a new world based on the vision of freedom, and a free expression of ideas. Thomas Jefferson was one of those founding fathers and was also one of its first distillers. 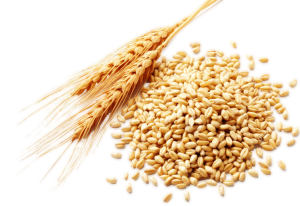 Like many farmers of the time, he used the excess grains from harvesting his farms and turned them into distilled spirits. The history of distilling and consumption of these spirits is well documented throughout American history. Thomas Jefferson was well known for his curiosity and his experimental spirit, and a known in his day as an innovator. 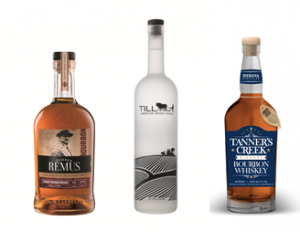 It’s in that spirit of innovation that Trey Zoeller, CEO of Jefferson’s Bourbon, chose Thomas Jefferson to be the “face” of his brand, and the inspiration behind the Jefferson’s brand. Jefferson’s Oceans is a great example of this innovative spirit. The Oceans line was born in 2012 when Trey partnered with Chris Fischer, the founder of OCEARCH, an organization that studies many types of marine life, but most specifically Great White sharks. Trey had previously been inspired after watching the spirits in his glass constantly rock back and forth while drinking aboard a boat, and began thinking about the effects that this constant motion, along with the unique environmental elements that only the ocean can produce would provide. This is where the voyages that OCEARCH regularly makes all over the world come into play and has made them a perfect partner for this collaboration. After more than a dozen voyages logged (This is voyage 15! ), bourbon lovers still actively seek each new release, because no two voyages have ever produced the same results. 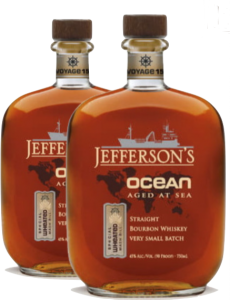 Now, the innovator that is Trey Zoeller has his Jefferson’s line setting sail on a entirely new exploration in search of the next great thing in bourbon, and I think he found it! Jefferson’s Oceans Wheated. By replacing rye (previously used in the bourbons of previous Ocean’s voyages) with wheat, this bourbon provides a softer and more subtle flavor profile, allowing the vanillas from the wood and the sweetness from the corn to raise prominently to the surface, bringing with it a lifeline of salty accents that only the oceans air can provide. Nose: Soft vanilla with a subtle sweetness drifts from the dram, bringing with it a slight brine note that adds intrigue and calms the sweet waves from becoming dominant. Brioche bread is there, with some soft wood entering late. You can smell the proof, but it does not burn, and it lets you know you are not getting a watered down spirit. Taste: Vanilla and sweet corn dominate early. There are hints of soft young wood and light hints of a caramel note, but more as a complimentary note like that exists within a caramel-vanilla latte. It is very smooth, but there is a mid-pallet warmth that you would normally expect from a higher proof bourbon (This is a 90 proof bourbon), and because of the lighter wheat flavor its allowed to come to the surface to satisfy those that like a bit of a kick, without turning away those that appreciate the delicate profile that a wheated bourbon brings. That brioche bread note re-enters and floats mid pallet and baths in the vanilla-corn sweetness that started things off, and it provides a life preserver that is needed to keep the sweetness tethered in place, and the remaining wood notes are a life raft to its well-rounded flavor profile. Finish: A smooth medium-to-long finish lingers on the pallet, like that of a oceans mist after a large wave crashes onto the shore. Like the flavor you get from a stick of sugar cane, there’s a sweetness that holds just a bit of wood, just a bit, but also just enough to maintain its balance. Soft vanilla and sweet corn grain notes melt off the tongue with just a hint of the oceans salty brine, leaving a lasting splash of warmth like that of a setting sun give as it sets over the sea. Summary: This exclusive Payless Single Barrel of Oceans Wheated Bourbon is a winner! It is an incredibly smooth bourbon that is both soft and sweet without being weak. It is elegant yet hearty, refined yet complex. To me, it drinks slightly above its 90 proof (a good thing), yet it’s not hot or overpowering. It’s flavorful and full-bodied without being full of spice and wood that can dominate what some associate with many full-bodied bourbons. This is a bourbon that should appeal to both beginning bourbon drinkers and bourbon enthusiasts alike. It’s that enjoyable, and Yes, it’s that good! Interested in reserving a bottle? Fill out our pick-up form today! During a time where alcohol rights were slowly creeping away, a grocer by the name of David Nicholson had something stirring in the private back room of his St. Louis general store. It was in 1843, when drunk driving first became a penalty, Nicholson begin distilling an original bourbon recipe. Unbeknownst to him, the 1843 recipe he discovered would carry on for centuries. 50 years later, Julian Van Winkle and W.L. Weller started producing 1843 for the St. Louis market. Van Winkle held onto the brand until 2000 when it was acquired by Luxco. The unchanged, unfiltered, and unmatched 1843 is still known for it’s outstanding character that earned its original popularity. It is truly amazing that an unchanged 1843 bourbon recipe could win a double gold in 2015. But, David Nicholson’s did. 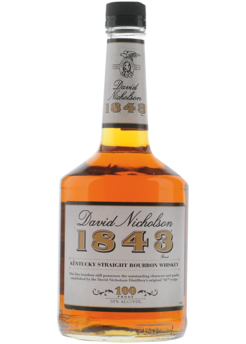 Today David Nicholson is known for his two bourbon recipes, the 1843 and Reserve. The 1843 is a 90 proof exceptionally smooth ‘wheated’ bourbon. The dominate characteristics in this bourbon are wood and smoke flavors with subtle vanilla. You will get that nice warm feel all the way down with this one, but that eases up if you add water. Outstanding in a manhattan, the smoky oak notes blend extremely well in a cocktail. This 100 proof, extra-aged and ‘ryed’ bourbon provides a full-bodied flavor and a distinct, spicy taste. 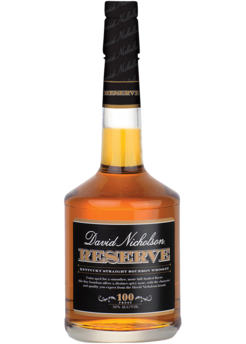 The drinking experience of Reserve is extremely pleasurable. A hit of sweetness as it first hits your lips quickly turns to rye and peppery flavors as it goes down. Toffee notes linger allowing you to enjoy even minutes after you’ve taken a sip. David Nicholson Bourbons have mainly been sold in Missouri and Illinois so there are still many ares in the US that are eagerly waiting to try. This brand has survived almost two centuries and continues to impress. There is no better way to honor a horse than with a glass of Woodford Reserve and that’s why Woodford Reserve releases a Kentucky Derby commemorative bottle each and every year. 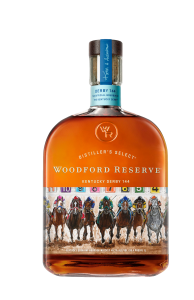 For the last 19 years, Woodford Reserve has released an annual limited edition Kentucky Derby commemorative bottle. Most all of these commemorative bottles have featured the work of artists from all over the country. As much as we love the commemorative artwork every year, it’s really what’s inside that makes this bottle so special. Woodford Reserve Distiller’s Select is a super premium, small-batch bourbon crafted at the historic Woodford Reserve Distillery, located in the heart of Kentucky’s Bluegrass region. It is a bourbon of exceptional richness, depth, and character with a smooth, well-rounded finish, much like race itself. Sip like the Millionaire’s row during the 144th Kentucky Derby, drink Woodford! New Maker’s Mark Mint Julep coming to Payless this week! The centuries-old “Mint Julep” is a cocktail of bourbon, water, mint, and ice, and most commonly associated with the Kentucky Derby! There have been many variations of the mint julep over the years including the addition of fruit flavors and the difference in bourbon of choice. Maker’s Mark now adds their own variation to the mix! Maker’s Mark infuses its’ popular Kentucky Straight Bourbon Whiskey with mint and a touch of sugar creating a cocktail that’s ready to go. This 33 proof bourbon liqueur just needs ice to enjoy! Nobody does the mint julep quite like Maker’s Mark. This product is a limited release and we’re not expecting it to last long. 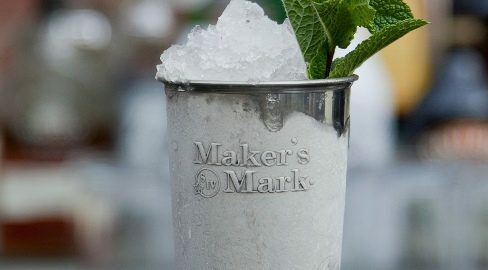 We’ve heard and read nothing but positive things about Maker’s Mark Mint Julep. Enjoy over the weekend hanging out in the shade on a sunny day and most definitely, enjoy while watching the Kentucky Derby. Reserve your bottle here with our pick-up form or head over to your nearest Payless Liquors and we will take care of you. Cheers! Spirits can be more complicated than one thinks. Think your an expert on all thing Bourbon and Whisky? You might be mistaken. When it comes to the history and ability to understand and articulate the vast range of flavors in an array of different spirits, you have to be more than an expert. You have to live spirits and that’s just what Fred Minnick does. He is a storyteller, and the history of American spirits has many, many stories to tell. Bourbon, in particular, is embedded into American history. The families names that helped create that history are the same families whose names down the labels of the bourbons we drink, and who make up the pages of the books that Fred writes, and we enjoy. Fred a gifted writer who loves to tell the stories and the history behind the spirits we drink, and he just so happens to also have an an impeccable palate (& eye), who through his words can allow you to experience what he is experiencing, and allow you to feel like you just shared the experience with him. Fred is a Wall-Street Journal Best Selling Author. 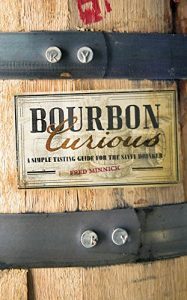 He has written Bourbon Women, Bourbon Curious, Bourbon: The Rise, Fall & Rebirth of An American Whisky and Rum Curious. But wait, there’s more! Fred writes for Covey Rise, Whisky Advocate and Whisky Magazine. He is also the Bourbon Authority for the Kentucky Derby Museum and he regularly appears on CBS This Morning, Esquire, Forbes, and NPR. 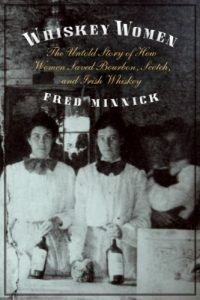 We’re extremely excited to have Fred Minnick join the Indiana Historical Society and us at Indy’s Premier Bourbon Celebration in February. Join us for an extraordinary night of bourbon tasting and learn more about the fine art and nuances of distilling and more. Get your tickets here. Samplings and silent auction end at 9:30 p.m.
Thomas Jefferson once said, “I hold to it, that a little rebellion, now and then, is a good thing, and as necessary in the political world as storms in the physical.” This quote reflects the true nature of Thomas Jefferson, known for his curiosity and experimental spirit. Today, living on in his name, Jefferson’s Bourbon is a symbol for an experimental spirit. Of course, there are many different Jefferson’s bourbons but today, let’s talk about the Jefferson’s Ridiculously Small Batch. Jefferson’s Small Batch is a combination of up to four different Kentucky straight bourbon whiskeys of different ages. By combining these different whiskeys, Jefferson’s achieves a complexity and balance while maintaining the consistency needed in a bourbon. They say that this Bourbon is perfect for both the connoisseur and someone who is just looking to get into whiskey. Jefferson’s goal is to create uncommon bourbon and they’ve succeeded. They are constantly seeking out new and aged barrels of bourbon from established distilleries that have already perfected their art for over hundreds of years. 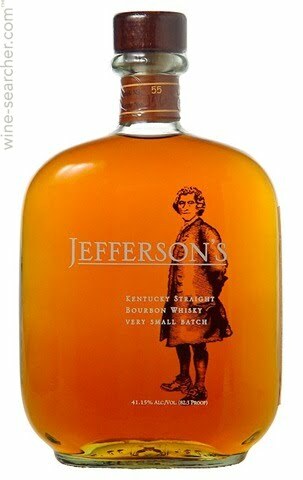 Jefferson’s Small Batch is aged in a new charred oak cask and bottled at ABV 41.15%. It is light caramel in color and grainy yet fruity to the nose. It has a medium, full-bodied, slightly hot palate with a bit of sugar cane, but not as much sweetness as you’d think according to the aroma. It is sure to last a while in the finish with some bitterness, oak tannin, and charcoal that fades away with a bit of sweet and honey. Overall, this is simply a pleasant whiskey that looks good on the shelf. We are excited about our new Jefferson’s barrels and will be premiering these barrels on August 26, 2017. This is a “no frills” whiskey that can pleasantly be drunk while hanging out, watching TV or reading a book. Stop by for a taste or reserve your bottle today, that is if you’re a curious soul like good ol’ Thomas Jefferson. Cheers! 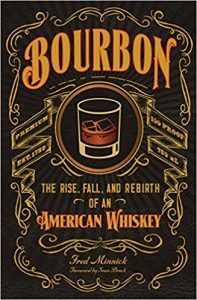 If you are one who likes to “think about your drink”, are a spirit enthusiast, or just have an interest in the history of America, at one point or another you will be reading about bourbon. Once you start reading into the history of bourbon (its birth, near death, and revitalization), you will no-doubt hear the name, George Remus. George Remus, who was given the title of “King of the Bootleggers”, was actually born in Germany before his family moved to Chicago when he was just a child. George followed his father’s footstep and became a pharmacist at the young age of 19, but left the trade in his mid-twenties to become a lawyer, focusing in criminal defense. With the passing of the 18th Amendment and the start of prohibition, George saw many of his criminal clientele grow, and become very rich making and selling bourbon. By using his background as a pharmacist, and his knowledge as a lawyer, George found loopholes in the law to make and sell bonded bourbon for “medicinal purposes” legally, but also organized to have his own product “stolen” by (his own) hijackers, where he then sold his product illegally. George soon moved to the Cincinnati area, where distilleries were plentiful and purchased several to help make his personal secret recipe, and to continue to grow his trade. George grew a 40 million dollar empire where he was known for throwing some of the most extravagant parties people had ever seen. Many believe that it is George Remus that inspired the character Jay Gatsby in the iconic F. Scott Fitzgerald book “The Great Gatsby”. This bourbon is a 4 yr. old MGP release, their 2nd release under their own branding (last years Metze’s select was their first, a fantastic rye if you can find it), so you know it will be good. It is a 94 proof high-rye blend used to recreate the flavor profile of the iconic George Remus brands of days past. Nose: Fruit (orange and cherry) with soft rye spice hit up front. Following is a mix of sweetened wood, containing hints of maple and vanilla that present but don’t overtake. Taste: The sweet vanilla-maple notes from the nose quickly find the front of the tongue, before fading into more of a sweet corn as it walks the tongue towards the mid-pallet. This is where the rye spice grows, but never takes over as rye spice sometimes tends to do (possibly by the vanilla notes that never went away). Arriving late to the party are some subtle hints of chard caramel and notes of pepper, that starts sliding back down towards the front third of the tongue a bit, not so much to the back as in most bourbons, making this one a bit unique. Finish: A medium finish leaves you a bit unsure if you just enjoyed a sweet rye, or a spicy bourbon, but truth be told, you just enjoyed the best of both. There are some high-priced limited releases that are known for this complex mix of profiles, but are twice the price and in a side-by-side would not distinguish itself from this bourbon at half the cost. Truth be told I think I would enjoy this bourbon even more then I already do if the proof were just a bit higher (100 proof would be a sweet spot IMO), but that said this is absolutely worth a purchase! I tend to lean towards a high proof, high rye kick to my bourbons, and this gives me just enough of both to keep me interested, yet still provides me a fun sweetness that keeps it in play as an option when I want something a bit softer. If you are into cocktails, I could see this working fantastically in a Old Fashion, so keep this in mind if cocktails is your jam. Contact us today to reserve your bottle of George Remus Bourbon. Cheers! To Bourbon Enthusiast, the A.H. Hirsch name is among the All Time Greats, and a true bourbon “Unicorn”. A.H. Hirsch bourbons often top the lists of “The Best Bourbons You Will Never Get To Drink”due to both its rarity and price, often surpassing even Pappy 23 yr. in its value. While there are several older aged versions that are both rare and highly sought after, it’s the A.H. Hirsch 16 yr. that is considered by many to be one of the best American bourbon ever produced. These rare A.H. Hirsch bourbons were originally purchased shortly after they were distilled in the mid 70’s from the original renowned Bomberger’s/ Michter’s Distillery in Pennsylvania, years before it closed in the late 80’s. The Hirsch bourbons (no A.H.) you will find today are inspired from those legendary A.H. Hirsch bourbons, through a selected range of sourced whiskeys that celebrate the history of American whiskey, offered in a range of styles. One of those styles is the Hirsch 8 yr. High Rye Bourbon. 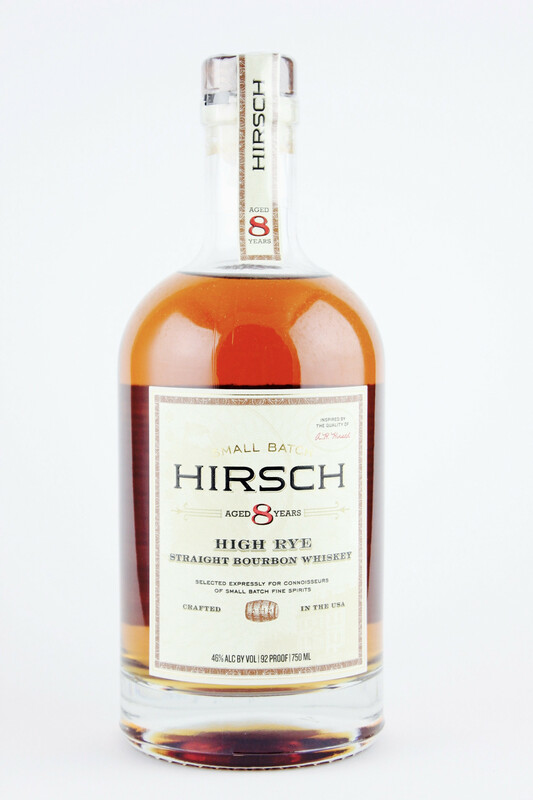 The Hirsch 8 yr. High Rye Bourbon is a blend of 2 different mash bills (rye 21% and 36%), in barrels with a duel char levels (#2 & #4), and is distilled by MGP here in Indiana. Nose: Rye hits the nose up front, with hints of toffee and some soft vanilla. Oak enters prominently, with some alcohol/ menthol notes, but quickly mingles with notes of sweet maple and spice to offer just the right amount of intrigue that inspires that first kiss… I mean sip. Taste: Sweetness hits the lips first, a bit like candied fruit, with hints of honey. Spice quickly rolls in, almost like a fog rolls over a hillside and engulfs a landscape. As your pallet is quickly filled with this cloud of spice, notes of corn and oak start to become more present in the mid pallet. The oak, however, is kept at bay by that cloud of spice, and the last remaining bits of sweetness that survived the rolling rush snuggle into the middle of the tongue to hang around for the highly anticipated finish. Finish: A medium to long finish results from the spice that joined those sweet notes on the tongue, like that third wheel on a good first date just don’t seem to want to go home early. But, like a good wingman, notes of cocoa and white chocolate join in, taking the spice slowly away with it, but before totally going their separate ways, leaves a lasting memory of spice and honey that demands a date over this drink to be revisited. This Hirsch 8 Year High Rye Bourbon is at the top of “The Best Bourbons You Will Never Get To Drink” list. If you are a Bourbon enthusiast you want to get your hands on a bottle. Contact us today to reserve your bottle. Payless Liquors is the only location in Indiana you will find this at. Cheers! If you’re a serious bourbon drinker then you’re about to love this 2017 Old Ripy Kentucky Straight Bourbon Whiskey. As part of Campari America’s new Whiskey Barons Collection, Old Ripy is a recreation of a whiskey born in 1868 to James Ripy. James was an Irish immigrant and a well-known piece in Anderson County’s busting distilling community in Bourbon’s heartland. With the help of his family, James’s Whiskey was kept alive on site of the current Wild Turkey Distillery, where it is currently being produced, up until 1950. This 2017 Old Ripy Kentucky Straight Bourbon Whiskey is special because it is the closest recreation to the original whiskey there’s ever been. It Is a combination of different aged Whiskeys. While 8 to 12-year old Whiskey’s dominate in the combination there are traces of younger Whiskeys. The actual ingredients are undisclosed; however, it is assumed to be around 75% corn, 13% rye and 12% malted barley. This deep amber whiskey is bottled at 52% ABV, aged in Timber warehouses and non-chill filtered. This is to retain congeners, fusil oils, lipid fats and proteins that were believed to be in the original Old Ripy Whiskey. The result of this process is a natural, complex flavor profile with fuller body and a smooth mouthful. The most appealing part of this Bourbon Whiskey is the profile, it’s the part you’ve all been waiting for and the part that’s sure to make you bourbon lovers want to snag a bottle. Old Ripy Kentucky Straight Bourbon Whiskey has a toasted oak and fruity nose, described like a medley of vanilla, raisins, apples and bananas. Its taste is dominated by spicy oak with a subtle hint of toffee and apples. The finish is dry with sweet caramel aftertastes accompanied by a peppery bite. You’re sure to experience a nice, comfortable burn in the back of your throat. This is a limited edition 2017 Whiskey only available in a handful of States. This drink is not intended as an everyday drink, but it is nice to have around to try for special occasions. Interested in your own bottle of Old Ripy Kentucky Straight Bourbon Whiskey? Contact us today to reserve your bottle. You’re sure to find appeal in this Whiskey straight from Bourbon’s heartland. Cheers!